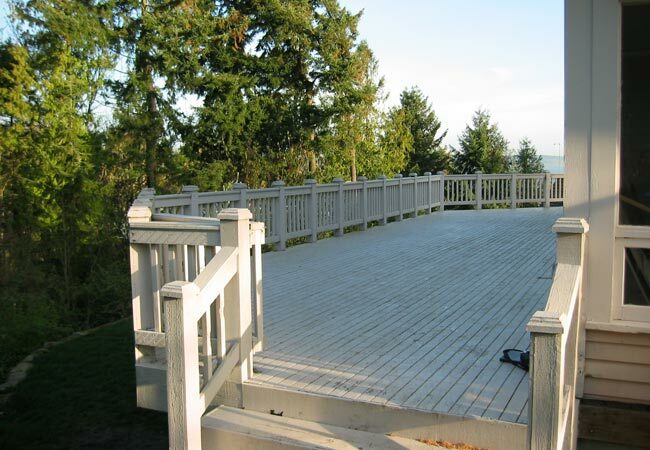 This is project where the deck went through a refreshing. 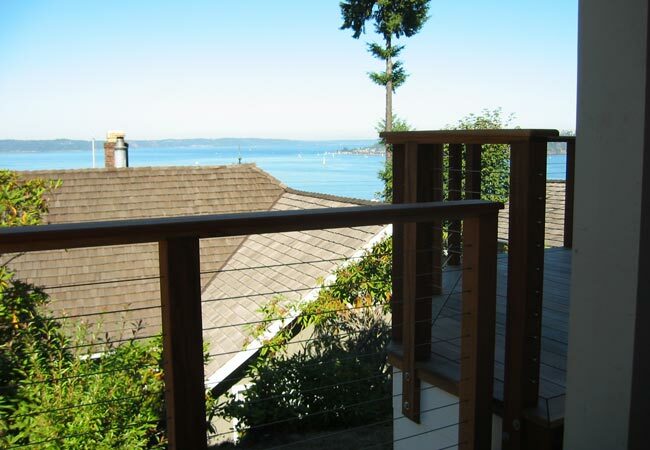 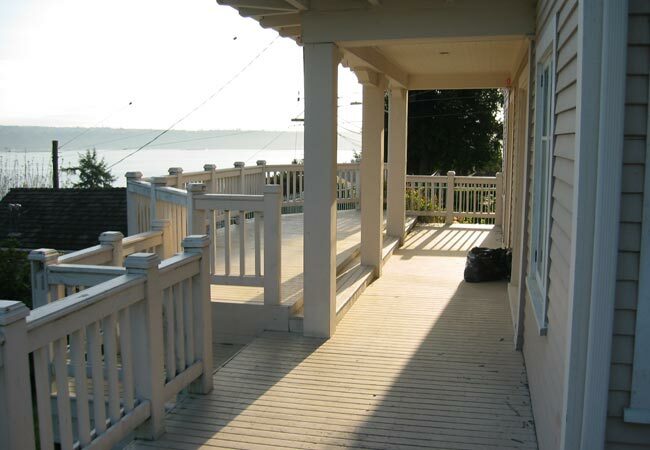 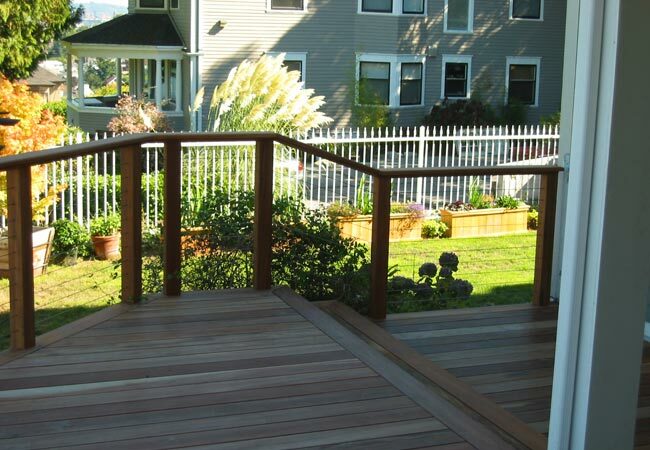 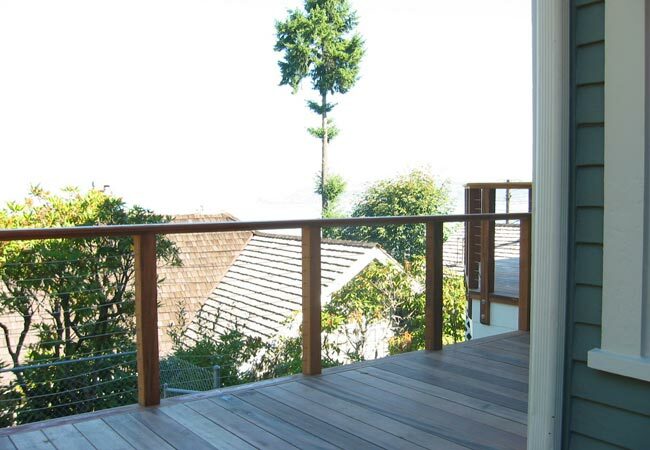 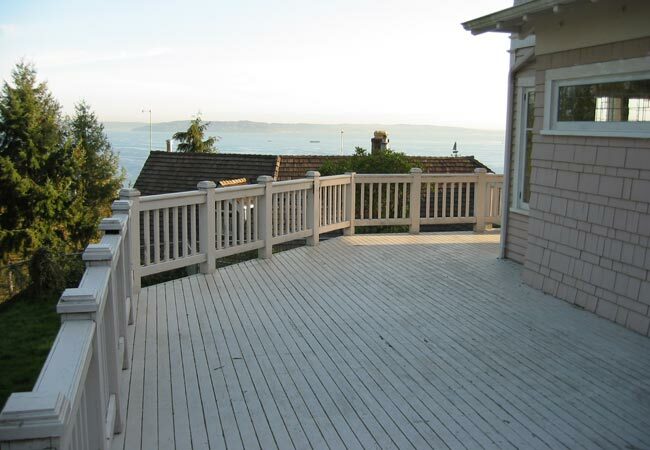 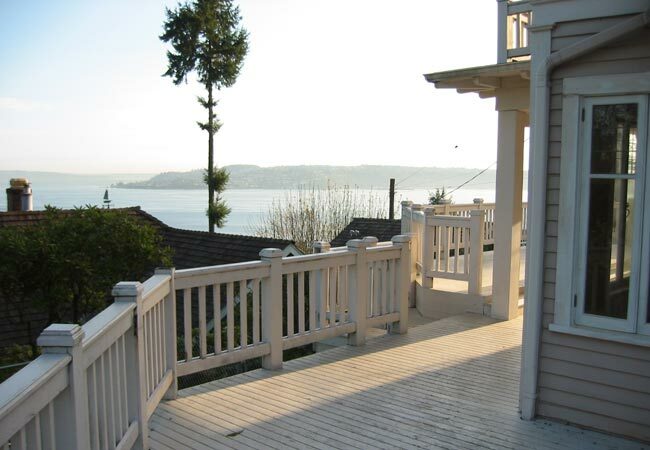 The painted deck surface and railing were replaced with a natural stained wood and the pickets and bottom rail replaced with cable. 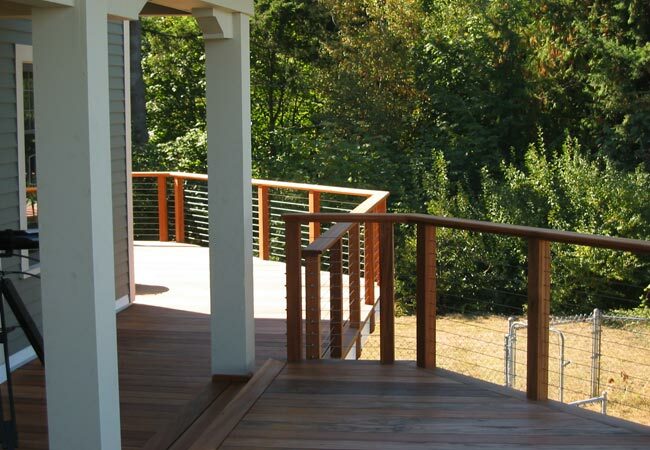 Notice the placement of the stair posts in the picture at the bottom. 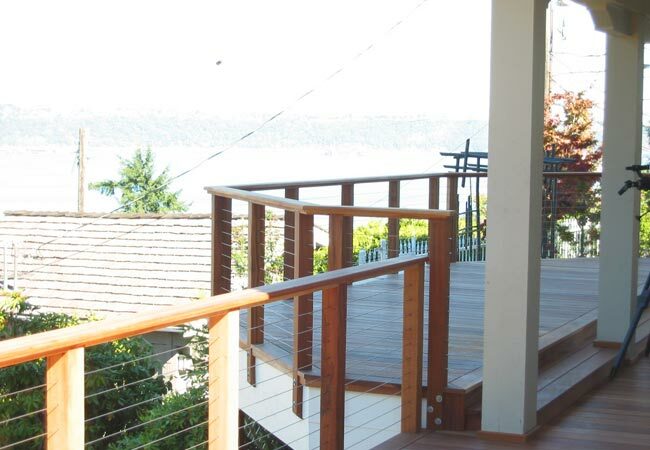 By pulling the top post back a few inches and pushing the post at the bottom out roughly a stair width, the cable can flow down the stairs and continue on at the same level off the deck. 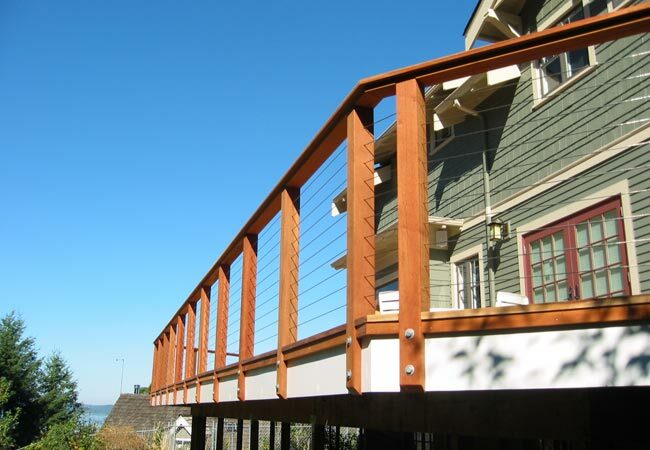 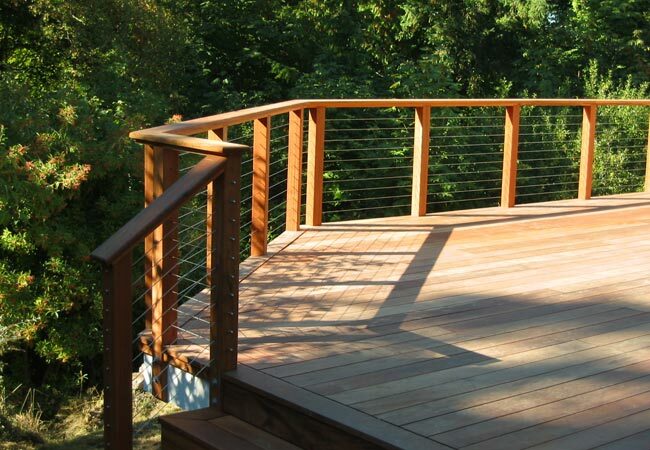 American Metal Specialties provides ready-to-install railings, cable assemblies, and fittings for contractors and do-it-yourself building enthusiasts. 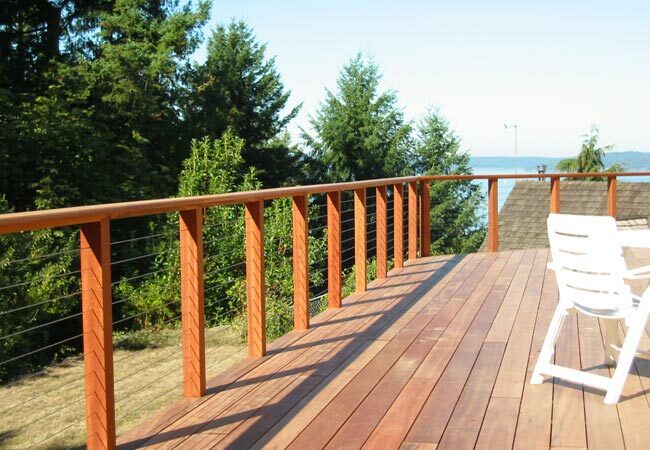 We serve the entire U.S. including Alaska and Hawaii and can arrange shipments internationally.